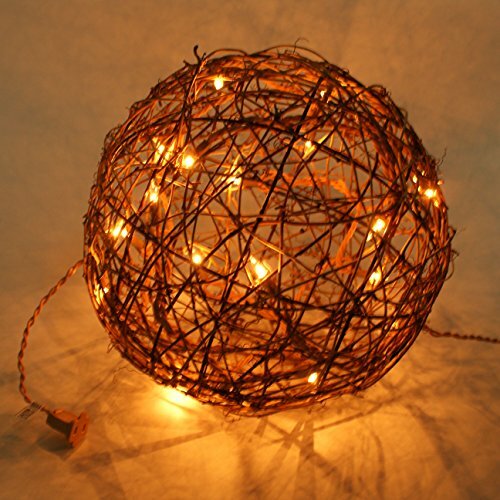 HANDMADE - Natural rattan branches are hand woven into a rattan style hollow 10" ball together with random and unevenly dispersed (20) lights. Every Branch pendant light is unique yet features the same attention to detail and high quality. SIMPLE TO USE - Simply hang the pendant light, plug it in and enjoy your new decorative light fixture. For best results hang 2 or 3 natural willow light globes together for a beautiful complementary modern light feature. If you have any questions about this product by Emlyn, contact us by completing and submitting the form below. If you are looking for a specif part number, please include it with your message.